'All options' on the table. OTTAWA — Canadians could find themselves with door-to-door mail delivery again at the end of what the government says will be a sweeping review of every business line at Canada Post. The federal government unveiled Thursday a four-member panel that will look at the future of the Crown corporation, including whether the national letter carrier should get back into the banking business. Privatization of Canada Post — in whole or in part — is not on the table, Public Services Minister Judy Foote said. She said any changes will have to carry a reasonable cost, with the ultimate goal of making Canada Post self-sustaining. Seniors groups and advocates for the disabled cried foul when Canada Post announced a controversial plan to phase out home mail delivery and switch millions of Canadians to community mailboxes as part of cost-saving measures. During the election campaign, Liberal Leader Justin Trudeau pledged to restore door-to-door delivery. Once in power, he temporarily halted the move to community boxes that was already underway. "Home delivery, yes. Home delivery in what format in terms of time is another question," Foote said when asked about the campaign promise. "I don't think we specified in terms of home delivery being seven days a week or five days a week. We need to hear from Canadians what it is they need and Canadians are responsible and I think they will understand that it has to be at a reasonable cost." The panel will provide an interim report by the end of summer, with final recommendations to be made before year's end, Foote said. The total cost of the exercise is $2 million. 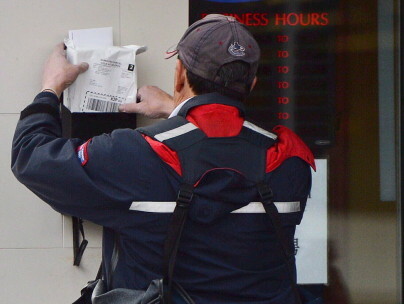 The postal union has been pushing the banking option as a way for Canada Post to make money. The postal service ditched its financial offerings in 1968, but the Canadian Union of Postal Workers argues that re-introducing banking at the agency's more than 6,500 outlets could generate revenue that's been lost as fewer people send letters. Foote said the union will have a voice in the review. The union and Canada Post are in the midst of negotiations on a new collective agreement with a work disruption possible by the summer if the two sides can't agree on out a new contract.